In order to cater the variegated demands of our precious clients, we are offering an excellent quality range of Single Disc Scrubbing Machine. 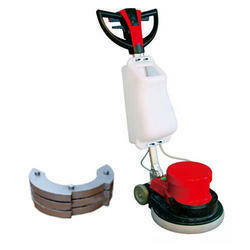 Owing to the valuable assistance of our vendors, we are able to trade a comprehensive range of Scrubbing Machine. - Used to scratch out dirt from surfaces such as floors. 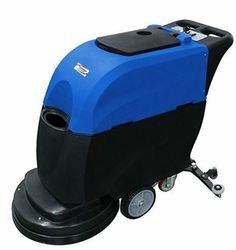 Avail from us a Double Speed Scrubber Dryers are highly-productive walk-behind scrubber dryers. This range of dryers is fast in operation and effective to use. Compact, line-operated hand scrubbing machine for scrubbing, shampooing, polishing and crystallizing for various surfaces of small cleaning areas, e.g. stairs and window-sills. Recovery tank capacity stop/total: 55 l.